Welcome to the 8th episode of The Author Hangout, a “Hangout on Air” designed to help authors, especially self-published and indie authors, with marketing their books and improving their author platform. Authors struggle with various aspects of marketing and we are here to help! One of the hottest buzzwords in the indie publishing world is “author platform” (which is technically a buzz phrase). But, many authors are confused about what this really means, what does it entail, and even if you do understand, how do you build an author platform? Luckily, the answer is to your question is here! 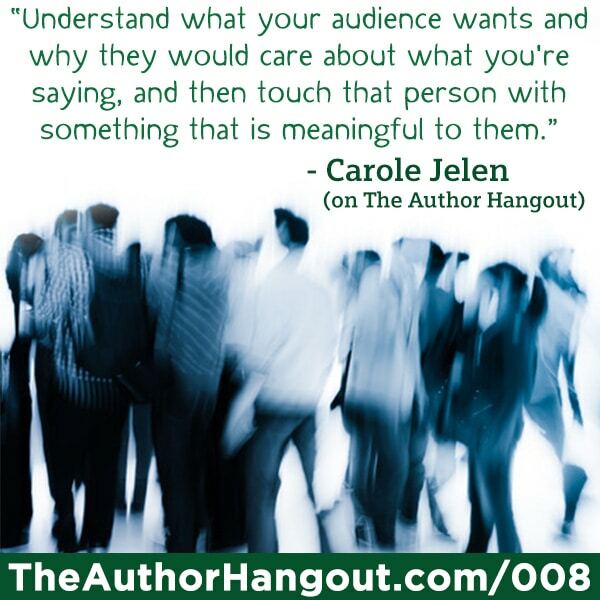 We were joined by Carole Jelen, a book publicist and an author, and we talked about how to build your author platform. We discussed how to run your self-publishing business as a business, what an author platform is, the two different kinds of marketing, and how your author platform works together to promote your brand and your books! What are some of the biggest changes in the publishing industry? Carole talked a bit about her experience having seen the the changes for an entire generation. She also talked about how these awesome changes have also created chaos, and the struggles it has caused for many authors. She also talked about the traditional payment model for authors, and what authors need to do in this new publishing landscape. Watch the video to find out more. 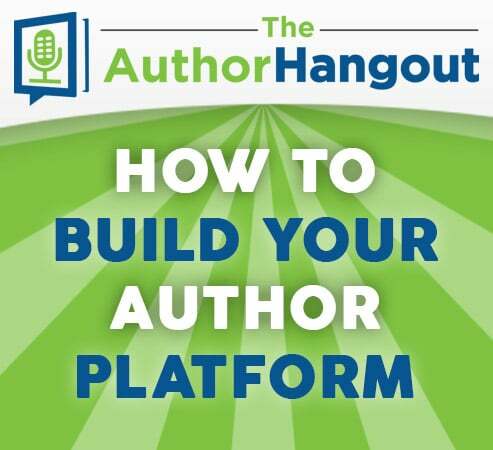 What is the big deal about building an author platform? She also talks about how important an author platform is both for self-published authors and for traditionally published authors. Is building an author platform different than traditional marketing? She then discusses how people react to the push method that most authors do, and an idea about how to create your author platform to pull readers in. Seriously, don’t miss this concept. It is the key to marketing your book effectively. If you’re just saying “Buy my book!” no one will buy it. If you want more ideas on what to tweet about and talk about on social media that isn’t “buy my book”, read our blog post, 5 Things For Authors To Tweet About (That Aren’t “Buy My Book!”). Also, watch the video for a great discussion on how to think like a business (because you are business if you’re a self-published author), and how to create an elevator pitch/proposal for your own book. There are many benefits to this, so don’t miss that section! Are authors easy to convince that they need a platform? While the original question spoke about traditionally published authors and convincing them that they need a platform, many self-published authors don’t see the need or have other issues with the idea of marketing and building a platform. The key is to spend a little bit each day. Cristian Harber, our guest on Episode 3 “How to Find Your Readers” had a very similar quote! Watch/listen/read that episode here. What is a clear definition of “Author Platform”? 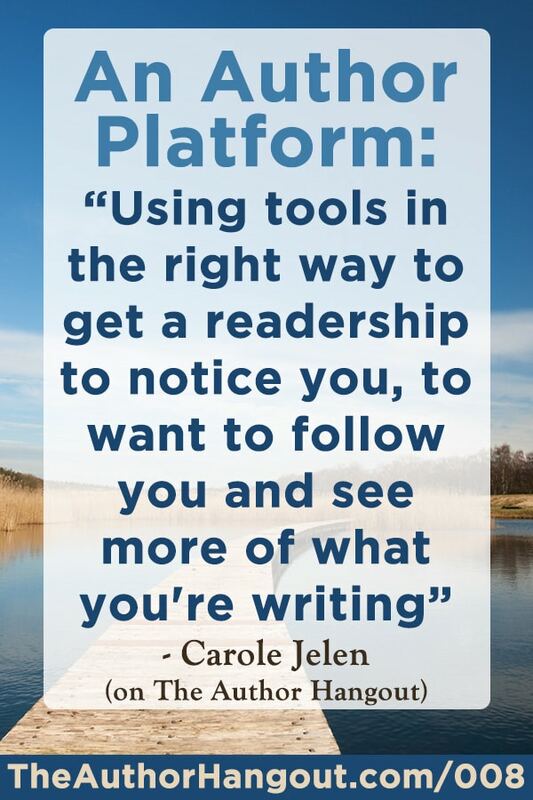 Carole’s book then goes into detail, step-by-step about which tools to use, and how to put it all together so that you have a well-oiled author platform working for you. 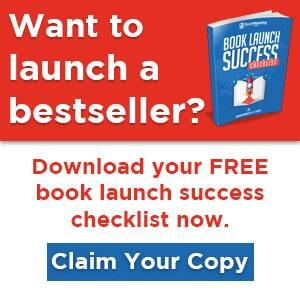 Learn more about this awesome book complete with checklists after each chapter here. Why does an author need an author platform? This is the key. As mentioned before, your self-publishing business is a business, and you need to treat it like one. Watch the video for a great discussion on profit and loss, return on investment, and more. What are the new rules in the digital landscape? The key takeaway? Just using Twitter or just using Facebook isn’t enough. You need to know why you’re using it, and how to use it most effectively. Carole then explains why the power of groups online is a key tool that many authors overlook. Be sure to watch the video or listen to the podcast to learn more about this. Where is the best place to share aside from my book? The key is to be sharing about you and about your book on your website, and then leading people to your website from Twitter, Facebook, your Amazon author page, and other areas. Your website is also pointing to all of these areas, so the synergy that is created from setting your website as the hub is key. Carole’s book goes into all of these different spokes, and how to interact on them. Seriously, invest in your business, and buy this book. On the event page… click here to see the event page, and read questions from the audience!